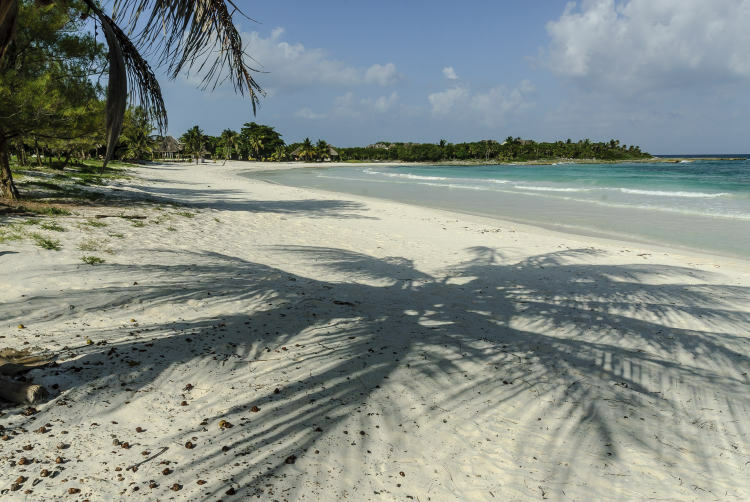 Located in the Riviera Maya, Xpu Ha beach is just south of Puerto Aventuras and a little closer to Akumal than Playas del Carmen. The beach here mostly attracts locals and is rarely overcrowded even during high season. The pure white sands and turquoise waters attract both weddinggoers and those looking for a little tranquility away from the noise of Cancun. With palapas and a large number of chairs being available at the local beach club, you’ll never have to worry about finding the perfect spot. Need a refreshing drink or some local seafood, no worries, the beach club has it covered. You might even find yourself a yoga session or playing volleyball/soccer with the locals…and what could be more perfect than that?